“Condemn me. It does not matter. History will absolve me.” — Oct. 16, 1953, at his trial for rebel attack that launched Cuban Revolution. “I am not interested in power nor do I envisage assuming it at any time. All that I will do is to make sure that the sacrifices of so many compatriots should not be in vain, whatever the future may hold in store for me.” — Jan. 1, 1959, upon triumph of the revolution. “Workers and farmers, this is the socialist and democratic revolution of the humble, with the humble and for the humble.” — April 16, 1961, declaring his government socialist. “I believe that aggression is imminent in the next 24 to 72 hours,” Oct. 26, 1962, commenting on possibility of U.S. attack in memo to Soviet Premier Nikita Khrushchev during tensest hours of Cuban missile crisis. “Millions of Cubans shed their tears today together with the loved ones of the victims of the abominable crime. And when an energetic and forceful people cry, injustice trembles.” — Oct. 15, 1976, addressing more than 1 million mourners in Havana the week after the terrorist bombing of Cuban airliner killed 73 people. “Today it hurts us if a Cuban is hungry, if a Cuban has no doctor, if a Cuban child suffers or is uneducated, or if a family has no housing. It hurts us even though it’s not our brother, our son or our father. Why shouldn’t we feel hurt if we see an Angolan child go hungry, suffer, be killed or massacred?” — March 30, 1977, to Cuban civilian and military personnel in Luanda, Angola. “Cuba is not opposed to finding a solution to its historical differences with the United States, but no one should expect Cuba to change its position or yield in its principles. Cuba is and will continue to be socialist. 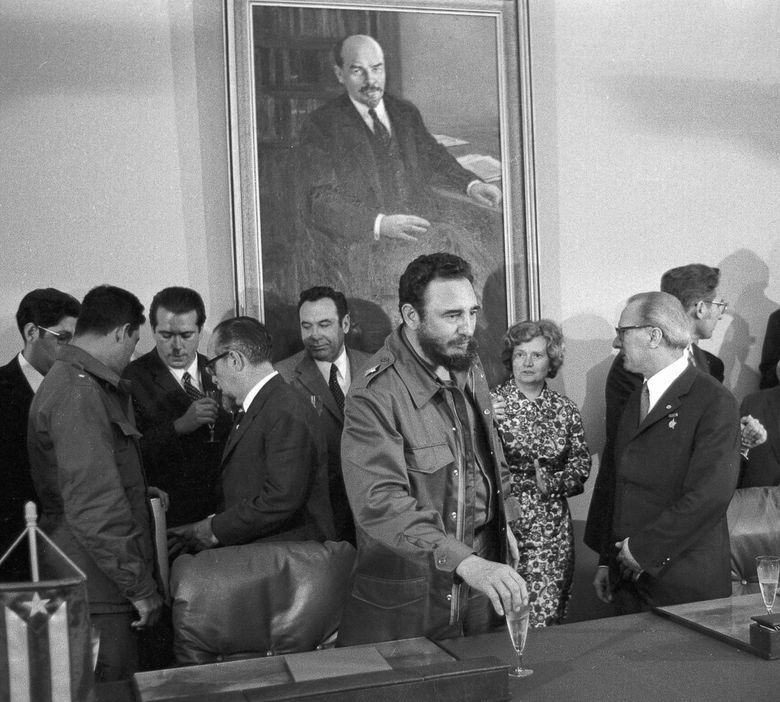 Cuba is and will continue to be a friend of the Soviet Union and of all the socialist states.” — Dec. 20, 1980, to Congress of Communist Party of Cuba. “We will take the steps we have to take to keep our factories running, to keep our workers employed, to keep going forward in these difficult conditions, and … find the formulas to save the country, save the revolution and save socialism.” — Oct. 14, 1991, to Communist Party congress as Cuba felt first effects of waning Soviet trade. “We will win this battle for life, and not only for your lives, but also for the lives of all children in the world.” — Dec. 23, 1999, calling on schoolchildren to participate in fight to repatriate Cuban boy Elian Gonzalez. “I promise that I will be with you, if you so wish, for as long as I feel that I can be useful — and if it is not decided by nature before — not a minute less and not a second more … Now I understand that it was not my destiny to rest at the end of my life.” — March 6, 2003, upon being re-elected by Cuba’s National Assembly to sixth term as Council of State president. 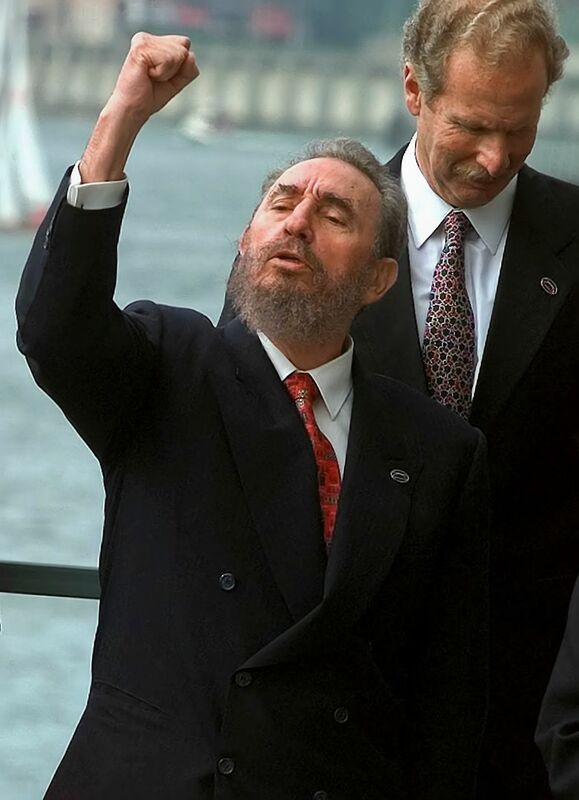 “I do not have the slightest doubt that our people and our revolution will fight to the last drop of blood to defend these and other ideas and measures that are necessary to safeguard this historic process.” — July 31, 2006, announcing he had undergone intestinal surgery and temporarily ceded his powers to younger brother Raul, Cuba’s defense minister. “I am saying that I will neither aspire to nor accept — I repeat, I will neither aspire to, nor accept — the positions of president of the State Council and commander in chief.” — Feb. 19, 2008, announcing his resignation as president. “I was at death’s door, but I came back,” speaking of his 2006 illness in an Aug. 30, 2010 interview with Mexican daily La Jornada. “The new generation is being called upon to rectify and change without hesitation all that should be rectified and changed … Persisting in revolutionary principles is, in my judgment, the principal legacy we can leave them,” April 18, 2011 opinion piece written during key Communist Party Congress on the need to hand off to young leaders. At the Congress, Castro stepped down as head of the party. But despite talk of rejuvenation, he was replaced by his 79-year-old brother, with two grey-haired veterans of the revolution selected as Raul’s chief deputies.